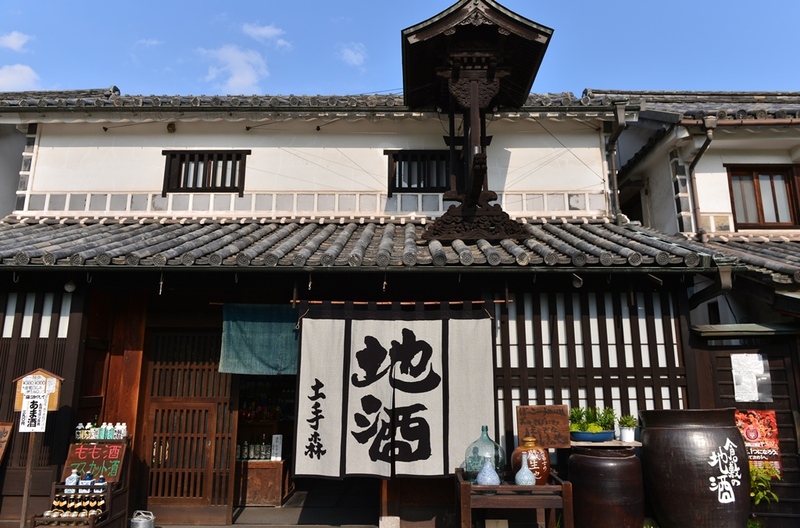 Located along the coastal Setonai Sea at the edge of Honshu (mainland Japan), Kurashiki has had a long history as a center of business and politics, even during the Hei’an Period (well before the Edo Period). It is most famous though, for flourishing as a river port city during the Edo Period, when it was under control by the Tokugawa Edo Government. The cityscape of Kurashiki will take you back to feudal times during the Edo, when the river was essential in delivering goods and transporting people. Although the river is now being used for traditional events and tourist attractions, it is easily to imagine how it was once used as a center of commerce and trade. Can you hear the sounds of music along the river? If so, take a look to see who is aboard one of the boats floating on the river. 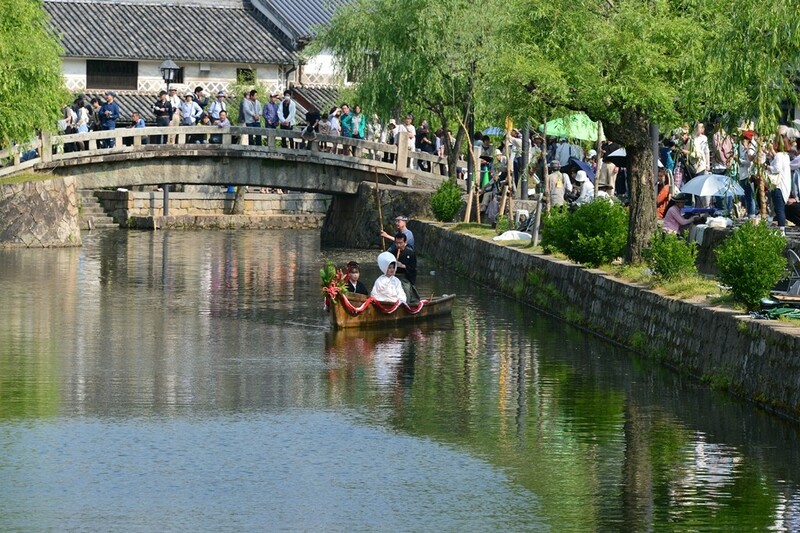 If you visit Kurashiki during May, you might be able to see some of the events held for public viewing by “Heartland Kurashiki,” an organization that puts together events that recreate scenes from the Edo Period to entertain and educate residents and visitors. One such event is the “Seto No Hanayome Kawa Bune Nagashi” (literal translation: The Seto Bride Descending On The River Boat). This event showcases how brides used the boats to transport down the river to arrive to their groom’s home. Usually a volunteer or nominee is selected as the “Seto Bride,” wearing the traditional all-white “shiro muku” kimono to symbolize the purity and innocence. 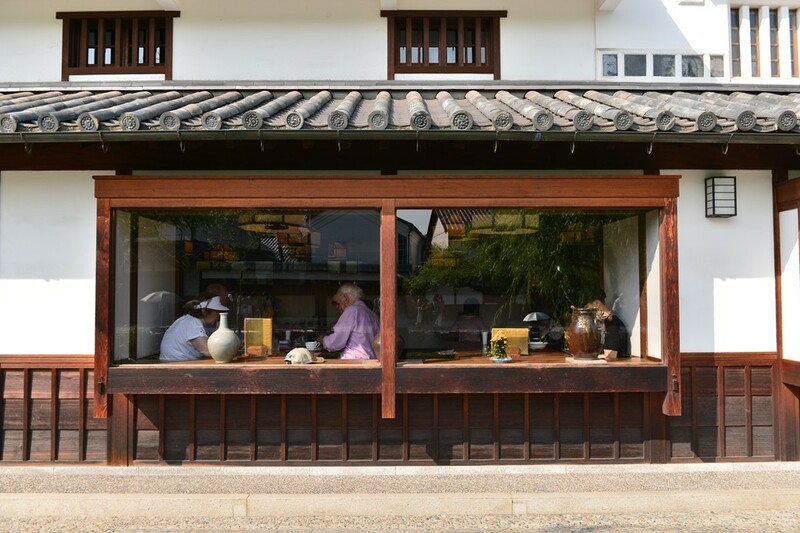 If you stop by Kurashiki, Bikan District is the place-to-go. Take these beautiful alleyways, for instance. 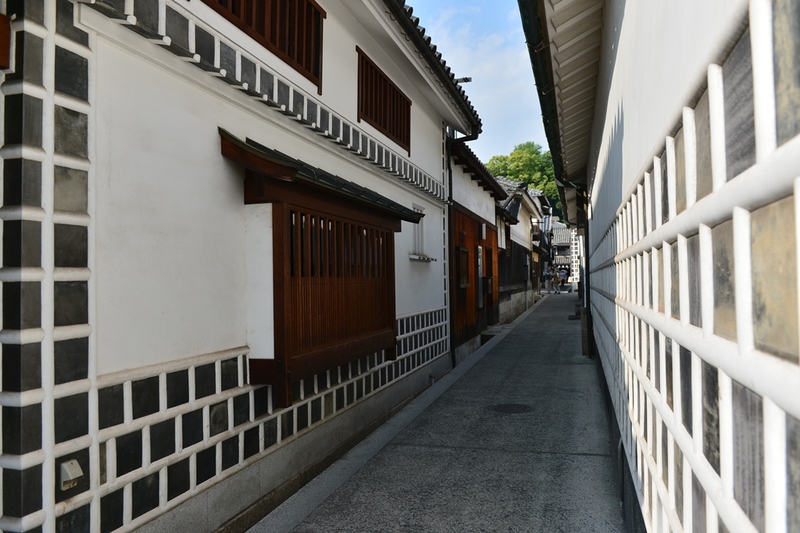 The whitewashed walls provide a unique look to this city, and will make you feel like you time slipped into the small streets of Edo, where townspeople and visitors must have exchanged everything from bows to sword fights. But to many visitors’ surprise, these buildings are still used today by the locals as living quarters. 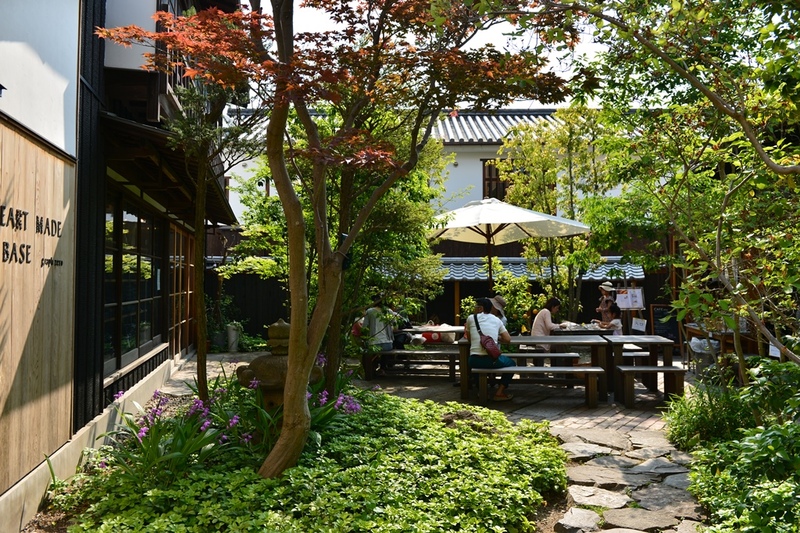 Just because some people live in the Bikan District doesn’t mean that there aren’t commercial buildings and rest spots, such as outdoor and indoor cafes. 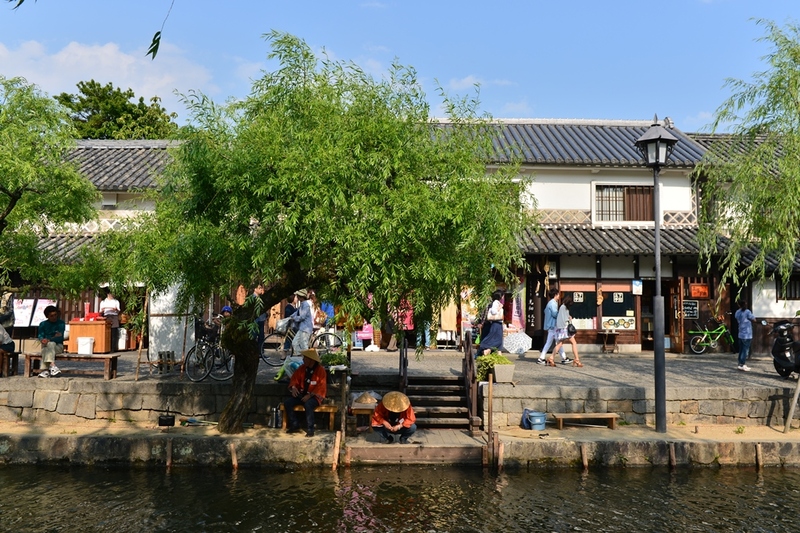 Although bustling with tourists and lively with business, Kurashiki, like the rest of Japan, offers little green spots with plenty of natural shade and beautiful greenery and foliage. Tired of walking around Kurashiki endlessly? 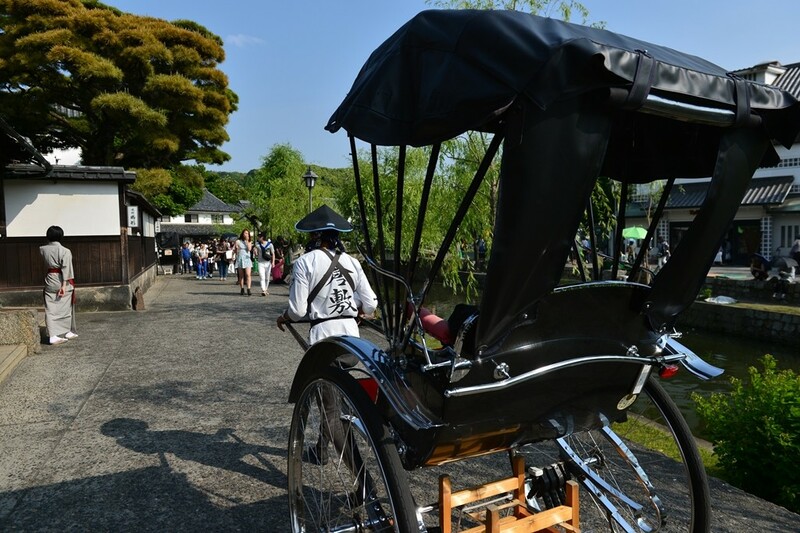 Then just hop on of the “Jinriki Sha,” or human powered buggies, which can usually fit two adults each ride. A traveler visits foreign countries and towns to be pampered and to be treated with utmost hospitality. Don’t feel lazy or embarrassed if your feet are giving in and energy is low. After all, what is a trip good for if all you remember is being tired? Make use of Jinriki Sha and other convenient methods of transportations around town, such as town buses, to make your visit most comfortable! 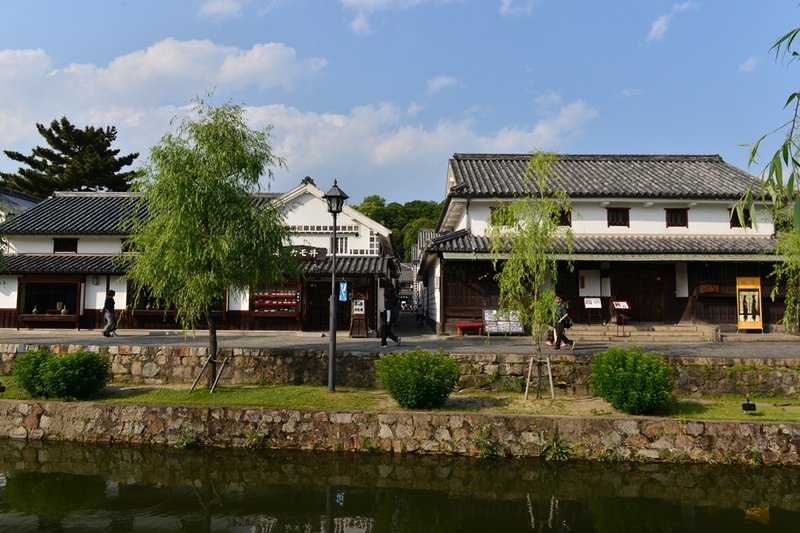 Kurashiki is one of such cities, which there are only a handful of in Japan. 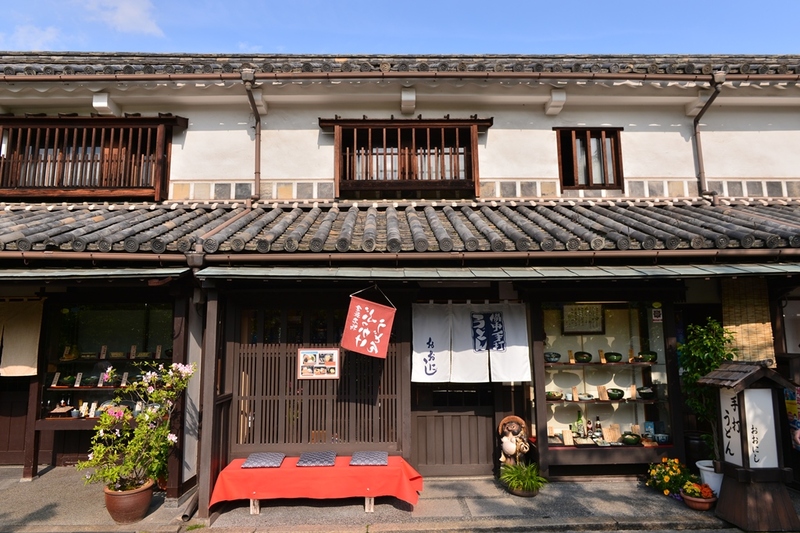 One would understand WHY Kurashiki was chosen as a Bikan District, though, by taking one glance at this beautiful “Old Town” of western Japan. 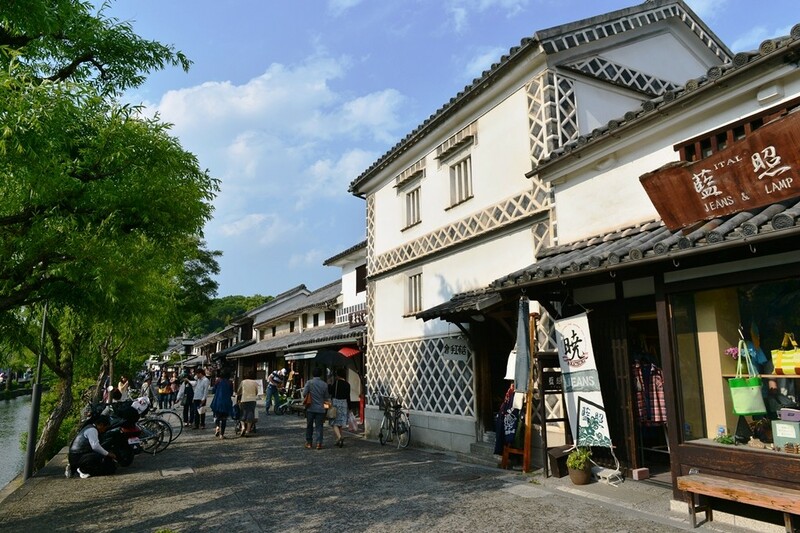 Not only is Kurashiki active in providing public and visitor attractions by holding recreational events that bring back Edo Period history to present times, but it also takes pride in maintaining all that Kurashiki has built and restored over the years. Even a small gift shop or a corner mom n’ pops restaurant shows that the town pays attention to the smallest detail that makes this town more attractive and homely. Every detail has a personal, human touch that is bound to touch a visitor’s heart and will keep it warm for the rest of the visit in Japan, and perhaps even after reaching back home. Cherish those memories, because we all know that history is a changing creature, just like the shape and currents of the river. Nothing stays unchanged forever, and to experience Kurashiki at this wonderful time is definitely a once in a lifetime experience. 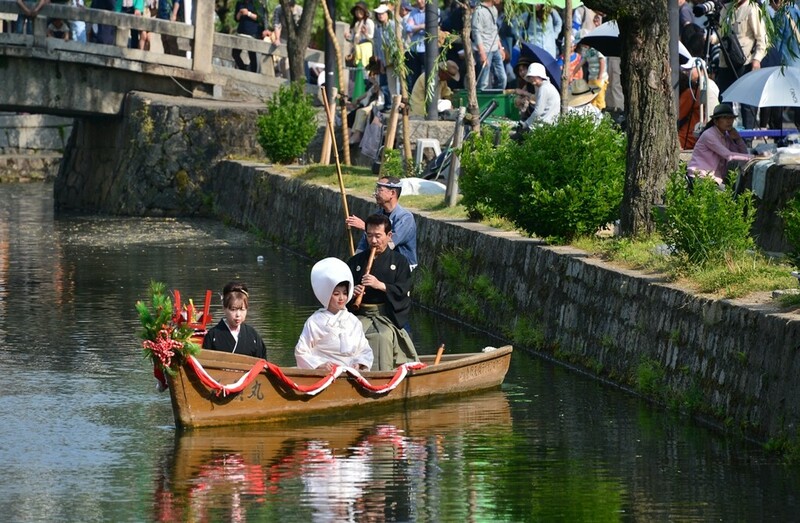 How would a traveler have felt during the Edo Period, traveling along the Kurashiki River? 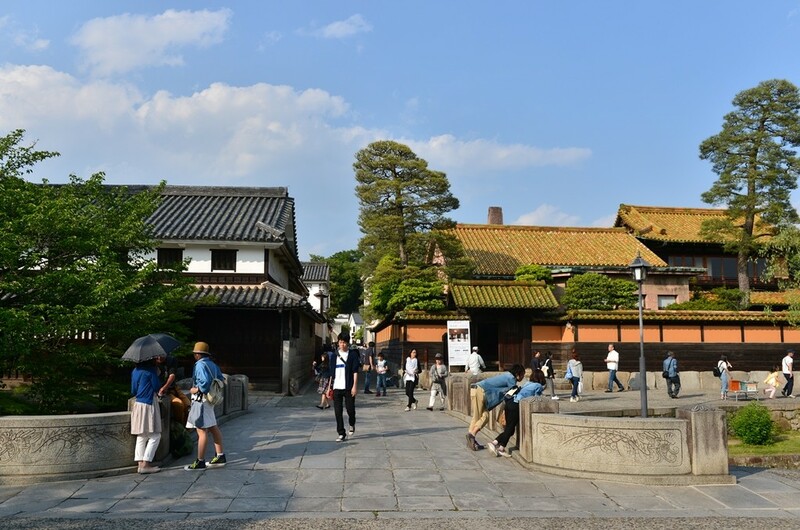 Instead, a traveler would have traveled at the same pace as the water currents, likely enjoying the scenic view of Kurashiki City as she or he moved along to the destination. 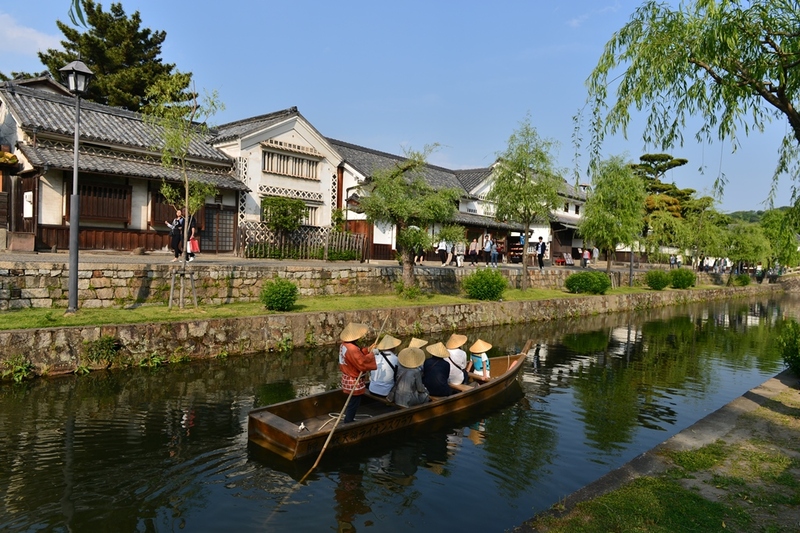 Today, Kurashiki has several such boat tours where you can hop on of the Edo Style wooden boats, complimented with straw hats, to enjoy the ambience of Kurashiki and role play a visitor or local resident during the Edo Period. You might not have arrived to a high ranked Samurai or Daimyo’s home, but you will likely arrive to the center of Kurashiki City at the end of your boat tour. Enjoy Japanese delicacies like green tea, sweets, or noodles to get ready for some more adventure in town. Get swept away by culture and immerse yourself in the slow paced life as a visitor. Don’t rush it– you have all the time in the world to eat, sleep, and breathe the wonders of Japan! Japanese Horoscope "The Year of the..."